Thank you for reading The Mac. Choose a life of slippers. Sign up and learn about the latest free books and giveaways. We respect your Privacy. See our policy here. 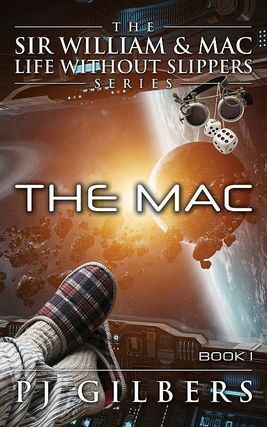 The Mac, First in Series, Now live on Amazon. Thank you for your honest review. It means so much to us. Thanks. Future giveaways will include books and other great stuff. Items that require mailing are available to our friends in continental US only. When you sign up you will also be the first to know what's new, weird, and exciting. This is crazy... wait, there's more, you will receive this incredible bonus of knowing when new books are out, and the latest giveaways, before anyone else. Wishing you, as always, a life of independence, fun, and peace known as a life with slippers. One of our most popular contest prizes: Goggles. Not guaranteed to transport. Operate at your own risk.